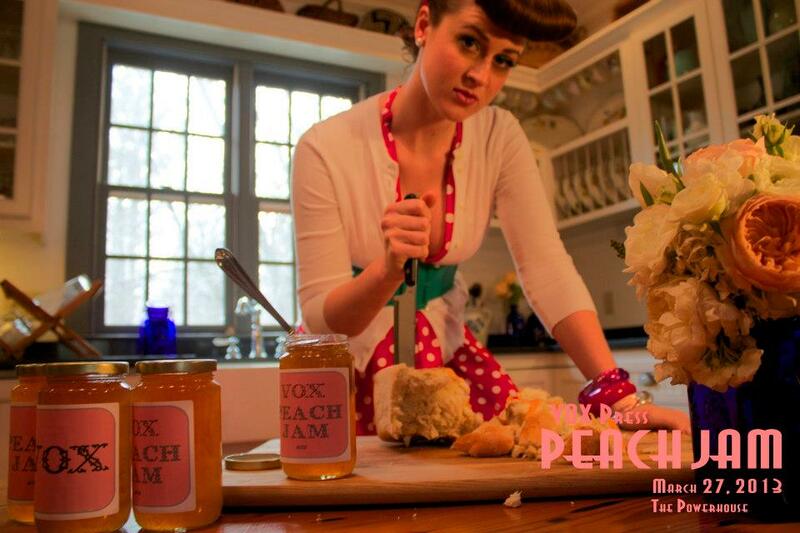 Wednesday, March 27, starting at 8 p.m. (doors open at 7 p.m.), VOX Press Artist Series, producer Alice Walker, and emcee Jim Dees will present PEACH JAM, a celebration of female poets and musicians, at The Powerhouse Community Arts Center. There will be a silent auction of works by local female visual artists and a raffle with proceeds going to the not-for-profit VOX organization. There’s no cover. However, as a VOX Press fundraiser, there is a $5 suggested donation for food and drink. Arrive early to enjoy pre-show entertainment and refreshments! Free Food and Wine Event Tonight! The Yocona International Folk Festival will host a benefit at The Powerhouse on Tuesday, July 10, from 7 to 9 p.m. The event will benefit the festival, which will take place Aug. 4 to 18 in Oxford and surrounding areas. Tuesday’s family-friendly event will include entertainment from a variety of local ethnic artists, including Turkish dancing; Celtic music; a folk rock performance; Peruvian and other ethnic storytelling. Attendees can learn more about the history of the festival through a new video describing the folk festival concept while enjoying international food and wines. 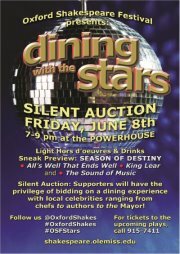 Friday, June 8, from 7:00 p.m. to 9:00 p.m. at the Powerhouse, the Oxford Shakespeare Festival is kicking off its new season with drinks, hors d’oeuvres and a silent auction called Dining with the Stars. Admission is free. There will be sneak previews of “All’s Well That Ends Well”, “King Lear”, and “The Sound of Music”. Attendees will have the chance to bid on dining experiences with local Oxford celebrities ranging from chefs to authors to the Mayor. For more information, visit the event’s Facebook page here or contact Ryan Breeland at (601) 757-0555 or jrbreeland@gmail.com. 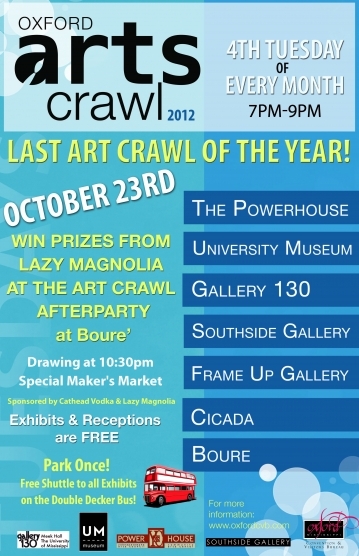 Mark your calendar for some fun events coming up soon at The Powerhouse. 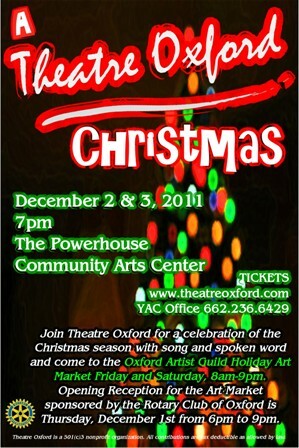 The Oxford Artist Guild Holiday Art Market will take place this Friday and Saturday, December 2 and 3 from 8:00 a.m. to 9:00 p.m. along with A Theatre Oxford Christmas performance on both nights starting at 7:00 p.m. 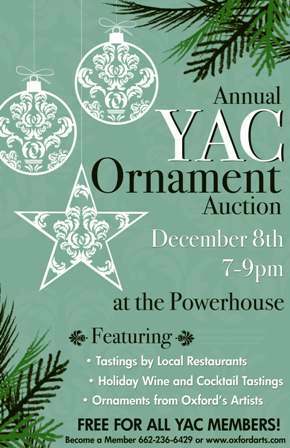 The Annual YAC Ornament Auction is next Thursday, December 8, from 7:00 p.m. to 9:00 p.m., featuring ornaments made by local artists, tastings by local restaurants: Taylor Grocery Catering, Soulshine Pizza Factory, LBs Meat Market, City Grocery Restaurant Group, Honeybee Bakery, High Point Coffee, Two Stick, Party Waitin’ to Happen catering, and McEwens. Wine and cocktail tastings will also take place. Find out more on the Oxford Arts Council site here. 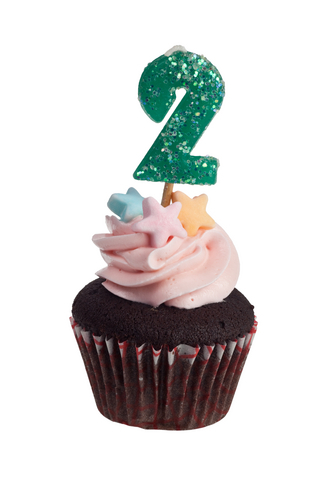 What better way to celebrate the two-year anniversary of a website and blog that focuses on food and restaurants than to throw a party that focuses on food and restaurants? 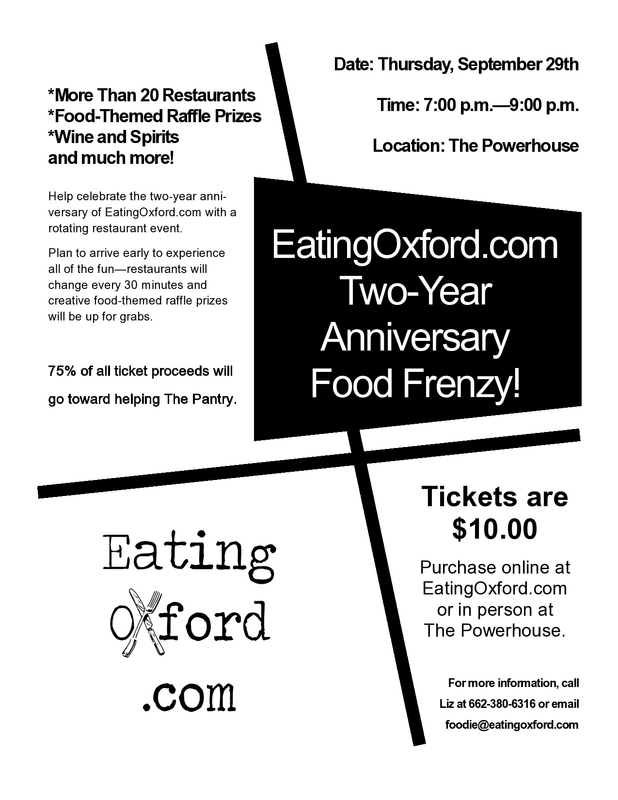 Mark your calendars for Thursday, September 29th from 7:00 p.m. to 9:00 p.m., because EatingOxford.com will be throwing a food frenzy at The Powerhouse unlike any you’ve ever seen! If you love food, which you do if you’re reading this post, do not miss this event! I want to personally meet all of the people who have helped to make EatingOxford.com one of the most popular websites in Oxford and the No. 1 food blog in Mississippi. Let’s all have dinner together! Planning has just begun, but be prepared for more than 20 Oxford restaurants to be represented as well as wine/spirits and fun surprises such as food-themed raffles and more. Tickets are only $10.00, of which 75% of all proceeds will go to benefit The Pantry! Secure yours today by clicking here. Restaurant owners and sponsors, contact me at foodie@eatingoxford.com for information about participating in this event. Additional details, including a list of participating restaurants, are coming soon.